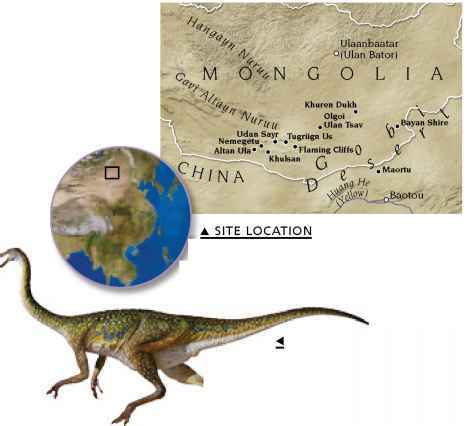 Locked inside the sandstones of the Gobi Desert, Mongolia, are incredibly well-preserved dinosaur fossils of the Late Cretaceous. 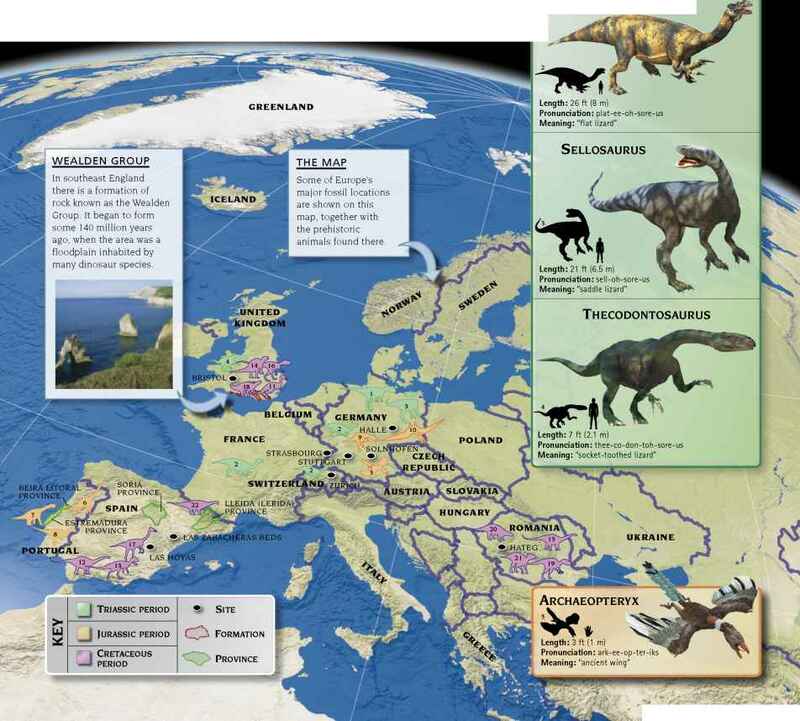 A stretch of rock 6 miles (10 km) long has yielded a snapshot of animal life from 75 million years ago, when the region was dry and sandy with little water. Oviraptor nested here, Velociraptor was the hunter, and herds of Protoceratops grazed on the low-lying ground, only to be entombed by sandstorms. Today, fossilized bones, eggs, and nests are found in the fire-red rocks of the Flaming Cliffs site. A carnivorous dinosaur, Oviraptor had a birdlike appearance. It lived in groups, and built nests in the desert sand, which it seems to have sat on to keep its eggs warm until they hatched. Some of the best Cretaceous fossil sites in the world are found in the Gobi Desert, including the Flaming Cliffs site—a major source of dinosaur fossils.